Each of these shortbread cookie recipes will have you drooling while you read them! You can live sugarfree and still enjoy the buttery taste of traditional shortbreads. These easy cookie recipes taste fantastic because they are fresh, warm and crumbly. Mine don't last very long once out of the oven - they get gobbled up by the family. But the best thing is I know that I am not pandering to a sugar addiction. Cream the butter, vanilla and dextrose with an electric mixer. Add the flour, half at a time. Add the milk to help it to come together. Roll dessertspoonfuls of mixture into balls and press onto greased baking trays. Bake at 150 degrees Celsius for 15 minutes. Allow cookies to cool on trays slightly before transferring to cooling racks. They will firm up on cooling. Add the combined flour and spices, half at a time. Bake at 150 degrees Celsius for 15 minutes. Makes approx 30. Allow cookies to cool on trays slightly before transferring to cooling racks. They will firm up on cooling. I have enjoyed experimenting with these new shortbread cookie recipes. These beautiful buttery shortbreads are best when baked at a lower temperature, so keep your oven down to about 150-160 degrees Celcius. Don't play with the dough too much. I have found that it makes a difference if your butter is nice and soft. The flour is very difficult to incorporate if the butter is still firm. Cream the butter and dextrose with an electric mixer in a small bowl. Add the egg and beat until combined. Transfer to a large bowl and stir in the flours and coconut. Roll teaspoonfuls of mixture into balls and press onto greased baking trays so they are about 4cm across. Beat the butter and glucose syrup with an electric mixer until light and fluffy. Stir in ginger and dextrose until combined. 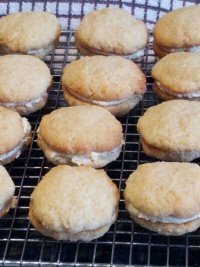 Sandwich cookies with ginger cream and eat! Sift flours into a large bowl. Stir in dextrose, grounds almonds and essence. Rub in butter. Press mixture firmly together. Turn dough onto lightly floured surface and gently knead until smooth. Roll rounded teaspoons of mixture into balls. Place balls on greased or lined baking trays. 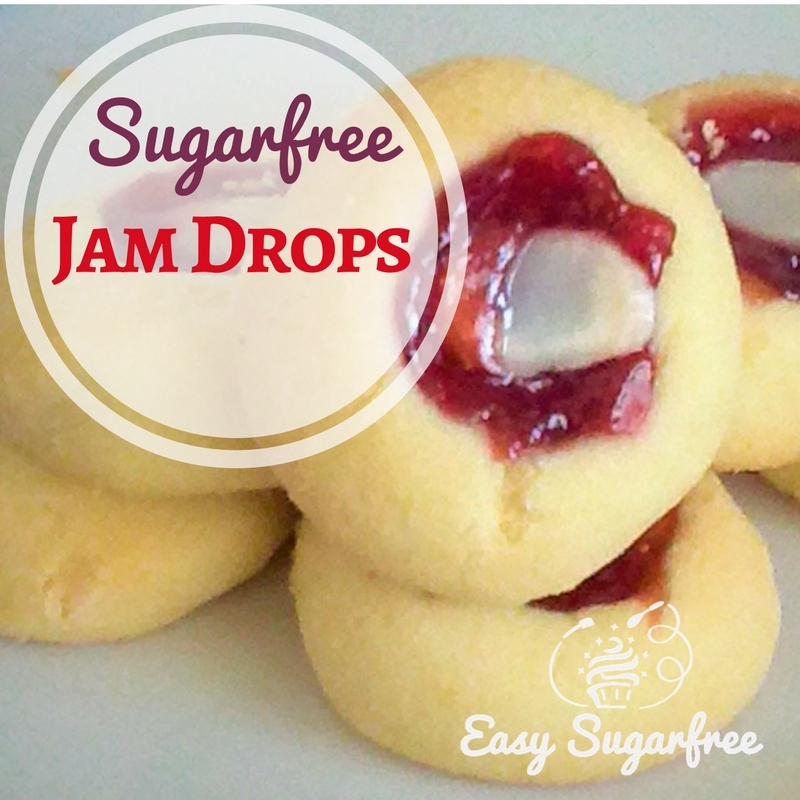 Make a small indentation in the top of each ball and fill with jam. Top each one with a flaked almond. Bake at 150 degrees Celcius for approximately 15 mins, until lightly coloured. Cool on trays then transfer to cooling racks to firm up. Makes about 30 jam drops!